Folksy punks Ducking Punches bring their acoustic, DIY, earnest, heartfelt tracks to Head Of Steam on Monday 26th November. Eastside events bring the Norwich quartet along as part of their current tour, with the band having had some mega support slots in the past, they’re starting to really find their feet in carving their own niche. 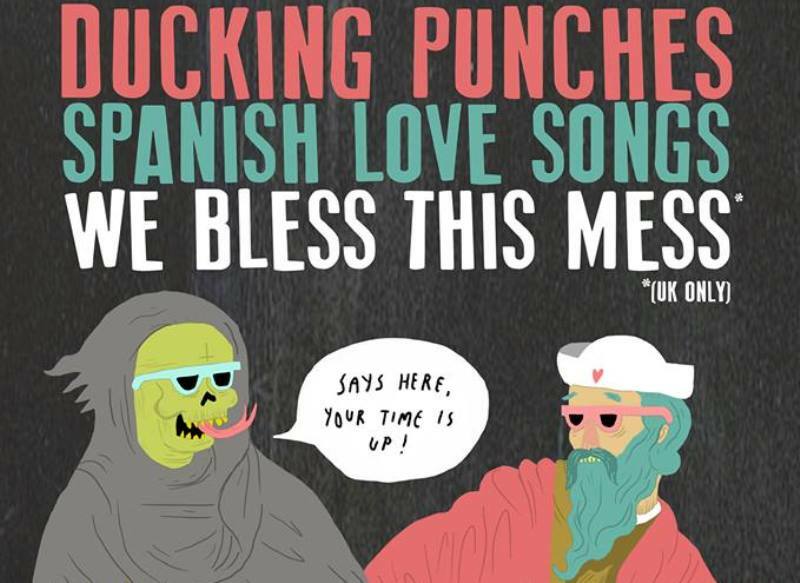 Special guests Spanish Love Songs and We Bless This Mess provide the support, and one of Newcastle’s finest intimate venues provides an awesome backdrop for an evening of sing-a-long acousticy punk fun. Ducking Punches play Head of Steam, Newcastle on Monday 26th November.